Former NBC Universal executive Jeff Zucker was tapped Thursday as the president of CNN Worldwide. 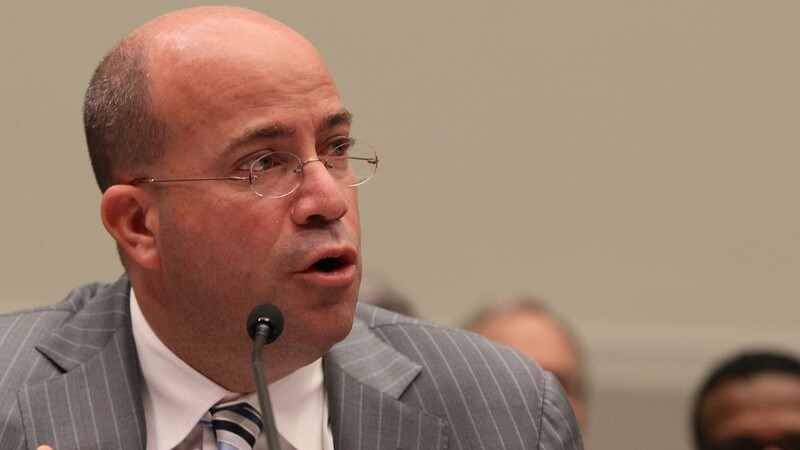 Zucker will succeed Jim Walton, the current president of CNN, in January. Walton took the reins at CNN in 2003 after getting his start with the company in 1981 as a video journalist, the network's entry level position for editorial staffers. Walton announced in July that he was stepping aside, saying the network needed "a new leader who brings a different perspective, different experiences and a new plan." Zucker was frequently mentioned as a leading candidate for the CNN job. The parent company of CNN, Time Warner (TWX) controls a much wider programming and media portfolio including HBO and Cartoon Network. "Jeff's experience as a news executive is unmatched for its breadth and success," said Phil Kent, president of Turner Broadcasting, the Time Warner unit which includes CNN. "He built and sustained the number-one brand in morning news, and under his watch NBC's signature news programming set a standard for quality and professionalism. As a programmer, a brand-builder and a leader, he will bring energy and new thinking to CNN. I couldn't be happier to welcome him or more excited about what he'll accomplish here." Zucker will be based in New York and report to Kent. The financial terms of Zucker's contract were not made public. The New York Times first reported late Tuesday that the hiring was imminent. Zucker started his career at NBC and enjoyed a meteoric rise through the network's ranks. The Harvard graduate was named executive producer of "The Today Show" at 26 in 1992, helping to orchestrate one of the biggest ratings juggernauts in television. He later added the "NBC Nightly News with Tom Brokaw" to his portfolio. After his tenure in the company's news division, Zucker jumped to the programming side of the business, and was named president of NBC Entertainment in 2000. He was then promoted to president of the NBC Universal Television Group and later tapped as CEO of the same division, which produced a bulk of the company's revenue. Zucker's time at NBC was not without controversy. He moved the popular Jay Leno out of the network's late night lineup in 2010, which resulted in a sharp ratings drop and a revolt from affiliate stations. NBC was forced to reverse course. NBC Universal parted ways with Zucker after Comcast (CMCSA) acquired the network in a blockbuster merger. He is currently the executive producer of Katie Couric's daytime talk show. In CNN, Zucker inherits a cable network battered by ratings losses and a changing media landscape. The network's ratings have declined precipitously in recent years, especially during the key money-making primetime hours. Meanwhile, rival News Corp (NWS). 's Fox has solidified its position with several top-rated evening shows. MSNBC, a Comcast unit that has long been a ratings laggard, has attracted new viewers by billing itself as the liberal answer to right-leaning Fox. In the face of this changing landscape, CNN has stayed with a non-partisan programming strategy. Network executives have tried to boost ratings, hiring Piers Morgan to replace Larry King and bringing business reporter Erin Burnett over from CNBC. The primetime lineup was also shuffled, with top talent Anderson Cooper moving to the cornerstone 8 p.m. hour. In spite of its challenges, CNN is on pace for its most profitable year ever, buoyed by lucrative contracts with affiliates and other revenue streams. -- CNNMoney's Mark Thompson contributed reporting from London.